"The most mysterious man in Gotham City wasn't in a mask and cape." 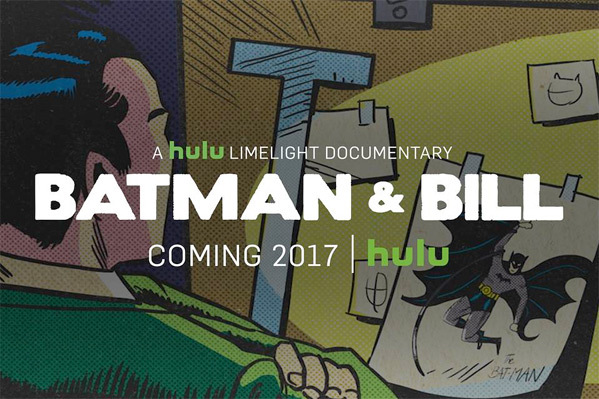 Hulu has released an official trailer for a documentary titled Batman & Bill, which will premiere exclusively on Hulu starting early May. The documentary "unmasks" one of the greatest secrets in the comic industry - that Batman wasn't created by Bob Kane alone, it was primarily Bill Finger who created the iconic superhero. This seems like a fascinating doc with plenty to offer for comic book fans, including inside stories and excellent art from the early days of Batman. It's cool to see a doc like this that actually looks worth watching on Hulu. They've been collecting some of their own original docs recently, including a James Bond one called Becoming Bond. Take a look. Everyone thinks that Bob Kane created Batman, but that’s not the whole truth. One author makes it his crusade to seek justice for Bill Finger, a struggling writer who was the key figure in creating the iconic superhero, from concept to costume to the very character we all know and love. Bruce Wayne may be Batman’s secret identity, but his creator was always a true mystery. Batman & Bill is co-directed by filmmakers Don Argott (The Art of the Steal, The Atomic States of America, As the Palaces Burn, Slow Learners) & Sheena M. Joyce (The Atomic States of America, Slow Learners). They're both also working on a DeLorean doc. Batman & Bill will be released exclusively on Hulu starting May 6th. Who's into this?